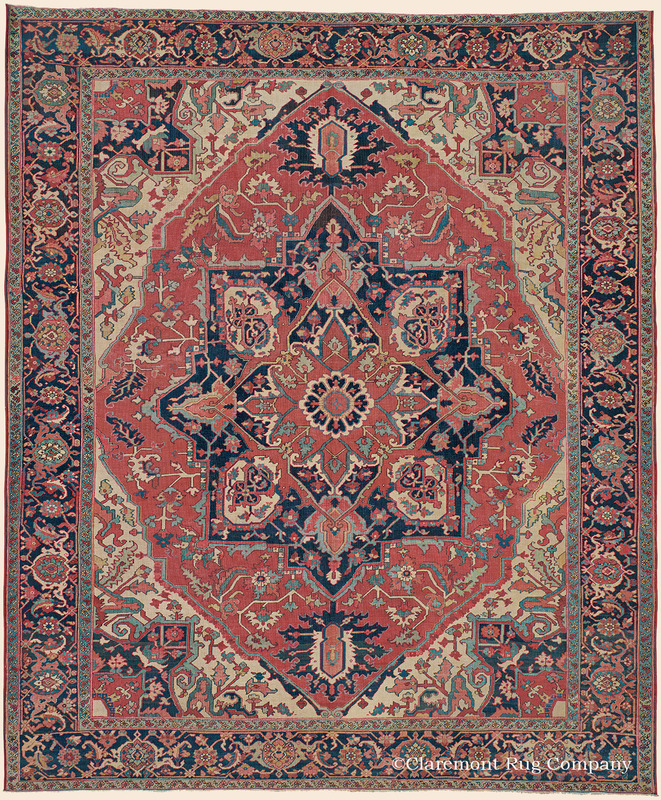 Search Our Inventory / All Rugs / 9&apos; 9" x 11&apos; 10"
9&apos; 9" x 11&apos; 10"
(High-Decorative) In a wonderfully accommodating squareish size, this nearly 150-year-old carpet offers all of the graciousness and charm that attract so many clients to the traditional Serapi weaving tradition. A glowing patina and great clarity of design heighten the expansive palette of entrancing, time-softened natural dyed hues, including highly appealing soft green, teal and rose tones to discover. Serapi carpets are perennial favorites of our clients for their ability to unify a room as well as their timelessly beautiful color way. This esteemed example offers a welcome additional layer of enrichment and visual interest, as the viewer traces the continual shifts in abrashed celadon and blue greens that are infused selectively throughout the entire carpet.